Successfully Added MP3 Bluetooth Headphone 4GB - Bluetooth Pairing + MP3 Music to your Shopping Cart. For an ultimate 2 in 1 Gadget, look no further than this fully functioning 4GB MP3 player with Bluetooth pairing function. With this MP3/Bluetooth device, you can download and listen your favorite songs at an amazing 2 x 5W the Headphones provide, and when you receive a call, simply accept and you have a normal Bluetooth Headset. 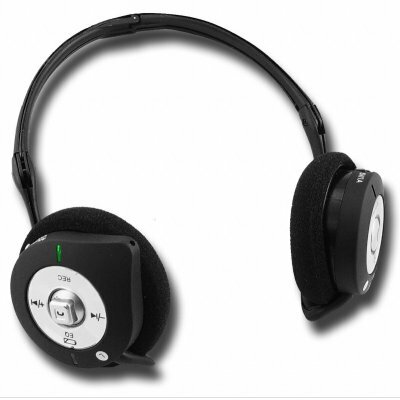 Added bonuses include a built in MIC for recording in MP3, and a 10 Meter range from your Bluetooth Enabled device to the MP3 Bluetooth Player. Buy this incredible gadget with absolutely no MOQ for personal use, and do not forget to buy in bulk for even further wholesale savings if you plan on selling this for yourself..